Set out for the Deep Sea! 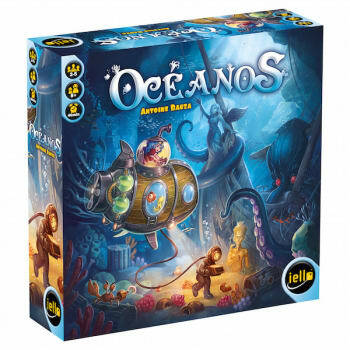 Pilot your submarine to explore the depths in a quest for rare underwater animal species, forgotten treasures, and priceless pearls! Upgrade sections of your submarine to venture deeper and score exploration points each turn for the animals you spot and the speed of your vessel. Unearth riches and discover coral reefs to score additional points at the end of the game. The cards in front of you picture what you saw during your journey: fish and strange species, treasure chests, pearls, rare crystals, underwater bases, corals, or scary kraken eyes!